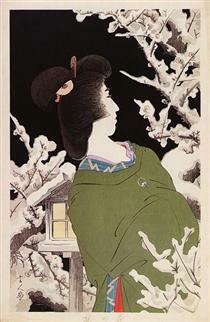 Torii Kotondo (鳥居 言人, 21 November 1900 – 13 July 1976) or Torii Kiyotada V (五代目 鳥居 清忠) was a Japanese artist of the Torii school of ukiyo-e artists. 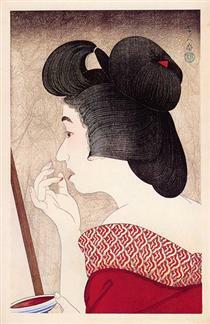 Kotondo was born Saitō Akira (斎藤 信) in the Nihonbashi district of Tokyo. 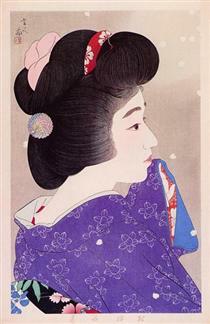 Torii Kiyotada IV (ja), the seventh head of the Torii school of ukiyo-e artists, adopted Kotondo at age 15 and trained him in the school's specialty producing portraits of kabuki actors. 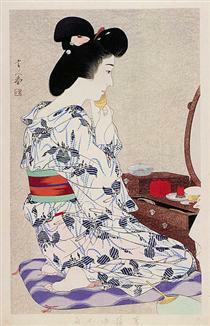 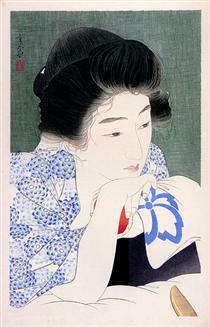 Kotondo studied painting under the yamato-e painter Kobori Tomone (ja) from 1914 and under Kiyokata Kaburagi from 1918. 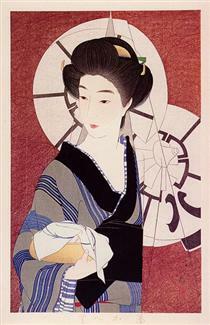 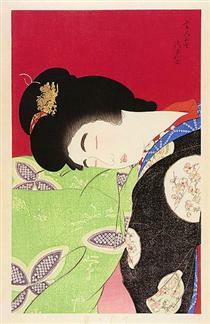 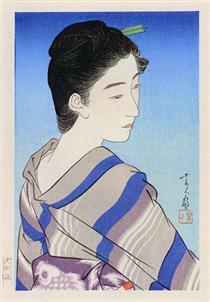 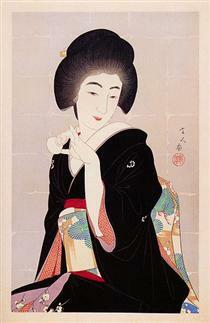 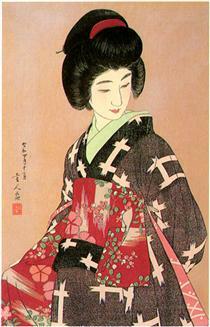 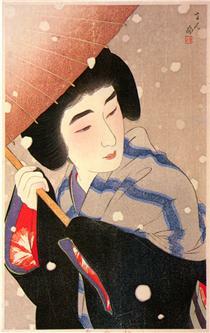 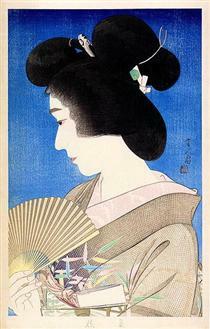 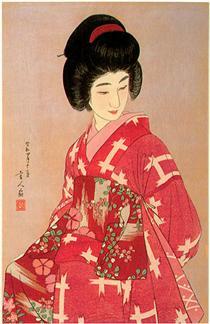 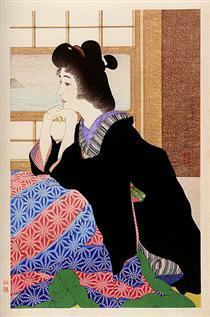 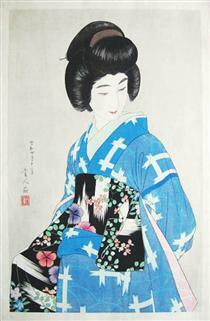 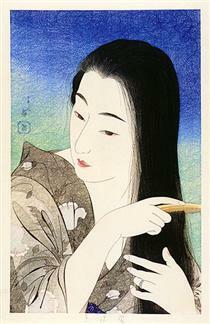 Most of Kotondo's woodblock prints date from 1927 to 1933. 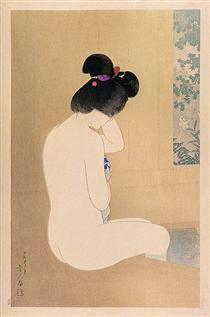 Authorities considered Kotondo's print Morning Hair of 1930 provocative and banned it after seventy of its hundred copies had sold and had the remaining thirty destroyed. 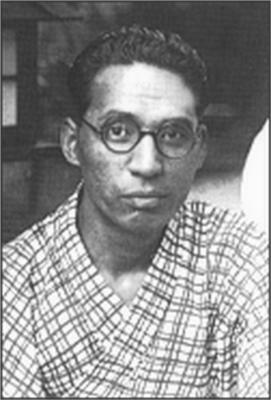 When Kiyotada died in 1941 Kotondo became the eighth head of the school and took the name Kiyotada V.
Kotondo lectured at Nihon University in Tokyo from 1966 to 1972. 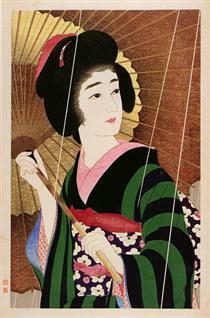 Collectors did not place high value on Kotondo's prints while he was alive; the prints have since appreciated in collectability and fetch prices comparable to those of the great masters. 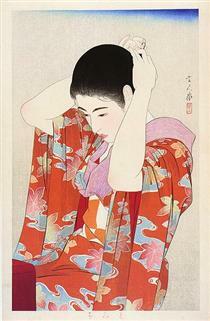 A Lady Torii Kotondo ?